INDIANS cheered on September 24th after their scientists smoothly steered a spacecraft, the Mangalyaan, into orbit just above Mars. Since the launch last November, the Mars Orbiter Mission appears to have gone without a hitch. Standing by the craft’s handlers in Bangalore, Narendra Modi, India’s prime minister, puffed with pride. The Mangalyaan carries few sensors and will discover little of scientific merit. But to point that out is both petty and beside the point. The main purpose was to get a craft there quickly and cheaply. The mission reportedly cost just $74m, which is much less than setting up a cricket team in the Indian Premier League. The Indian Space Research Organisation (ISRO) uploaded one of the photos to its Facebook page, showing an orange crater-marked surface with dark holes, taken from a height of 7,300 km. 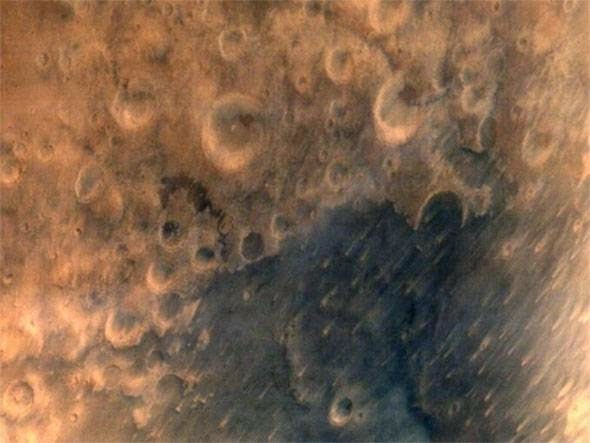 India becomes the first Asian nation to reach the red planet. Prime Minister Narendra Modi will launch the “Make In India” campaign on September 25, aimed at reviving the job-creating manufacturing sector — key to taking the economy on a sustainable high growth path. The campaign includes invitations to the world’s top 3,000 companies to explore investment possibilities in India. Indian Embassies around the world are expected to join the campaign.The campaign includes invitations to the world’s top 3,000 companies to explore investment possibilities in India. Indian Embassies around the world are expected to join the campaign. Taking Prime Minister Narendra Modi's vision of "Make in India'' forward the government plans to benchmark skill training to global standards, targeting to turn India into the skilling capital of the world. The scheme will tap rural India and promote the Rural India Skills Mark (as a globally recognised stamp of quality. Named after Jan Sangh leader Deen Dayal Upadhyaya, the scheme Deen Dayal Upadhyaya Grameen Kaushalya Yojna, will be launched on his birth anniversary--September 25. The project will be launched as part of Modi's big ticket "Make in India'' initiative at Vigyan Bhavan on Thursday. Salman Khan as a dashing pilot in the new teasers of Bigg Boss 8, has increased the curiosity level of the viewers. In the promo, the Bollywood actor and Bigg Boss host promises to take the contestants, as well as the viewers, on a thrilling flight. This year's theme will reflect in the new set of the Bigg Boss house, located in Lonavla, which has been designed to resemble a jumbo aircraft. Sources further revealed that the house will also have a waiting lounge and two different sections for Economy and Business class. The new season, starting on September 21, has already locked in on some prominent celebrities who are expected to give us daily dosage of drama for 100 days. According to channel sources, actress Minissha Lamba will be one of the biggest draw this year and will be accompanied by model turned actor Upen Patel. With the immersion of the tallest Khairatabad Ganesh idol (60 ft) .The 11-day-long Vinayaka Chaturthi festivities concluded here on Tuesday. Idol immersion in various water bodies in Greater Hyderabad passed off peacefully. It was for the first time that immersion went on for two days at the end of the festivities. 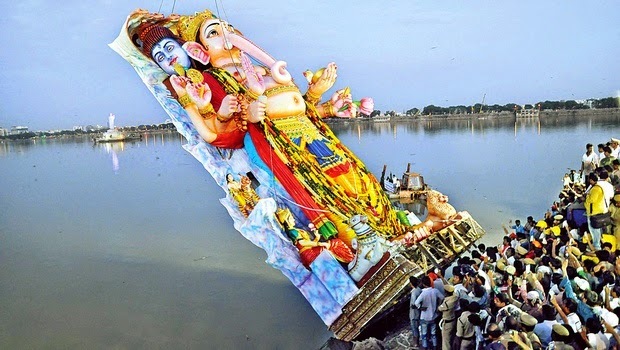 The annual ritual, which now become a massive event in Greater Hyderabad where an estimated 50,000 idols in different sizes have been immersed in various water bodies in the city and on its outskirts in the last two days. On the second day too, police diverted traffic in different parts of the city that caused inconvenience to school children and office-goers. Bhagynagar Ganesh Utsav Samiti president and VHP International president G Raghava Reddy, vice-presidents N Karodimal, Rama Raju and Krishna Reddy, general secretary Bhagavant Rao. Apart from thanking all the devotees as well as Ganesh Mandapam Management Committees, the BGUS conveyed special thanks to the Telangana government for making the required arrangements and maintaining law and order. It also thanked the Hyderabad police commissioners, GHMC, water board, HMDA, RTC, railways, irrigation, electricity and transport departments as well as Dharmic organisations and NGOs. Pragathinagar Cheruvu, Hasmathpet Cheruvu, Sunnam Cheruvu, Pariki Cheruvu, Venellagadda Cheruvu, Suraram Cheruvu, Kotha Cheruvu and Safilguda lake. There's good news for Apple fans in India. 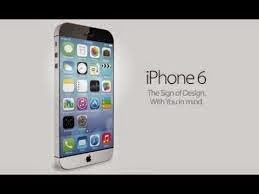 Apple will make its new smartphones, the iPhone 6 and iPhone 6 Plus available in India from October 17. The launch will come bang in the middle of festive season, and is a departure from Apple's earlier India strategy, when the new versions of their iPhones were made available around November. 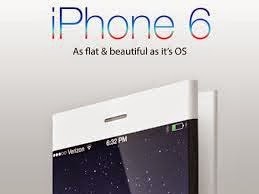 Apple plans to make the new smartphones available in 115 countries by the end of this year. The new iPhones have the power button on the side. Apple has made 1.3 million apps available on their new smartphones. While Apple claims that iPhone 6 Plus has 24 hours of 3G talk time.. Both phones have an 8MP camera with 'True-tone flash', 1.5 micron pixels. The cameras have an iSight sensor. "With these new cameras, panoramas can be up to 43 megapixels. Schiller said that face detection and blink detection is better too. Apple has done pretty much everything that market and customers demand. These new iPhones have completely new form factors, the look and feel is radically different, the bigger screen sizes is in line with current best sellers, they come with higher resolution displays on these bigger screens, they have faster processors, the power button on the side is an ergonomic correction that was much needed, new sensors can make sure that you know how many stairs you climbed up . Labels: # Apple, #India, #iphone6, #iPhones, #smartphones. There is no doubt that MC Mary Kom is among one of the finest sports persons India has ever produced, and her achievements can be chronicled on celluloid, but are we ready to visualise a girl from a poor Manipuri village as it is? Director Omung Kumar’s Mary Kom is a highly fictionalised account of what actually happened, and in the process it turned out to be one of those films which are made just for whistles and quick money. 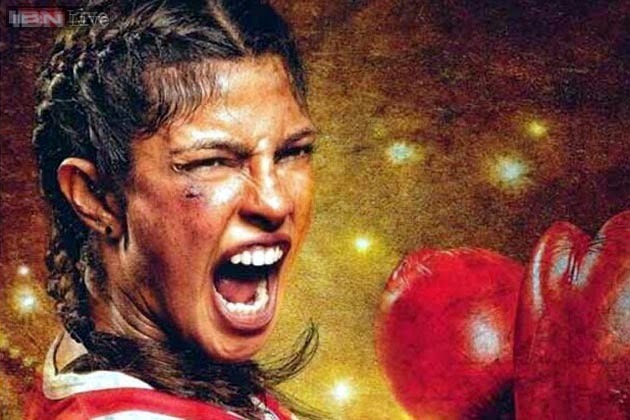 Priyanka Chopra may not have tried to look like the boxer on screen but as she says, she has worked hard to represent her spirit and personality. "We did not want to imitate her. We are making a Hindi film and we wanted the reach of the film to be wide. I am speaking a lot more in Hindi than Mary speaks and not in Manipuri. And I knew my face would never look like her we did prosthetics and lot of test. I don't look like Mary. I don't have the features like her, but I have given blood and soul for this film to make sure I represent Mary's spirit and her personality to the best of my ability," Priyanka had said in her interview. You may miss picturesque landscapes of Manipur as most of the film is set inside indoor stadiums, but the editors have done a fantastic job. The premises keep changing before you go out for snacks. The tempo of the film is also acceptable, provided you take it as just another Bollywood ‘masala’ film. Slated to release on Teacher's Day, the film has already been exempted from entertainment tax in Maharashtra and Uttar Pradesh. Priyanka now hopes that the Delhi government declares the movie tax-free as well. Labels: #Director Omung Kumar, #India ., #Manipur, #Marykom, #Priyanka Chopra, #quick money, #sports, #Teacher's Day. The internet search company announced a new partnership with researchers at the University of California Santa Barbara to develop "quantum computing" technology. 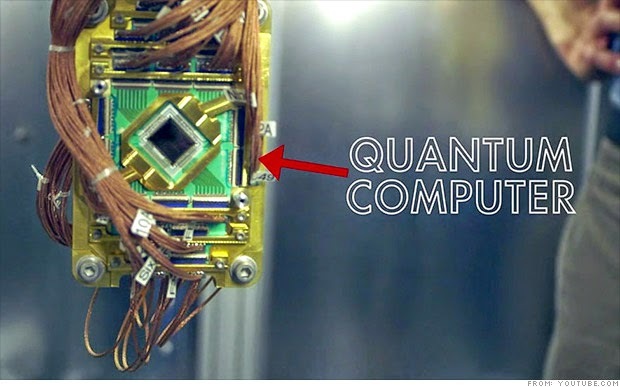 The science behind quantum computing is highly technical and still very theoretical. In simple terms, quantum computers make use of quantum bits to process information, as opposed to the binary system of ones and zeros used by traditional computer processors. China is currently home to the world's fastest computer, the Tianhe-2 supercomputer, which is capable of nearly 55 quadrillion of calculations per second. A quantum computer could make that look like a snail. The search giant has already been working with scientists at D-Wave Systems on a quantum computer system. D-Wave is developing what some call the first commercially viable quantum computer, the "Vesuvius." It is also working with NASA on a 1,000 qubit "Washington" processor.